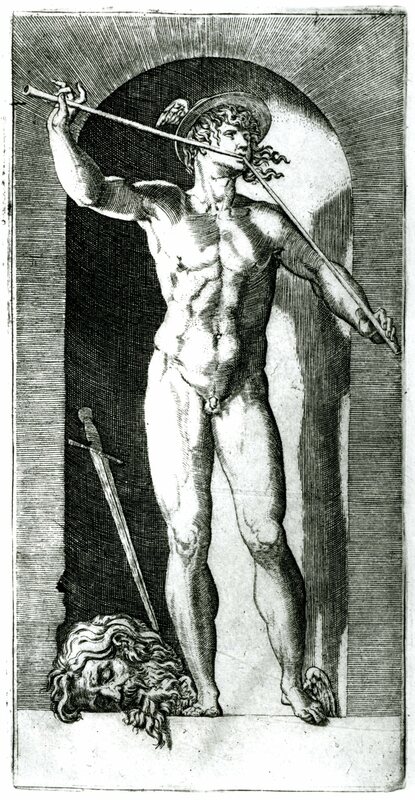 E.115-122. 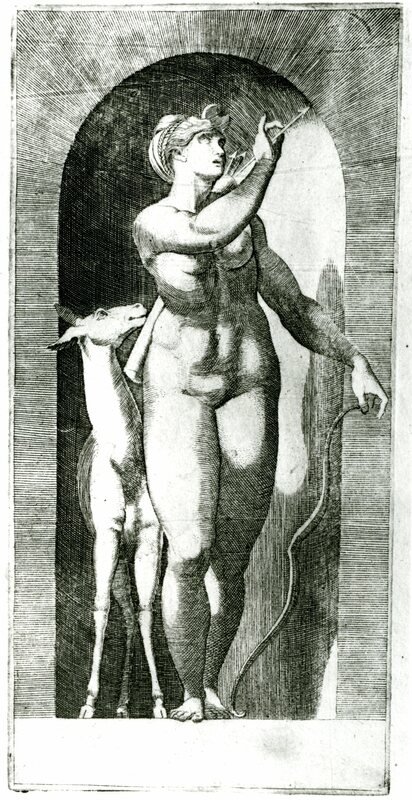 On the following copies of Caraglio’s Gods in Niches, see under E.26-45. E.115, 1 – 8 or 9. Gods in Niches. 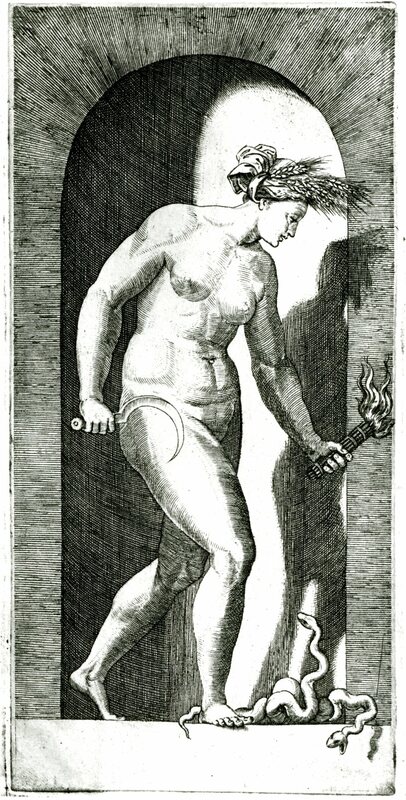 An uncertain number of engraved copies of the Villamena edition, with dark borders, and in the same direction. E.116, 1 – 20. Gods in Niches. 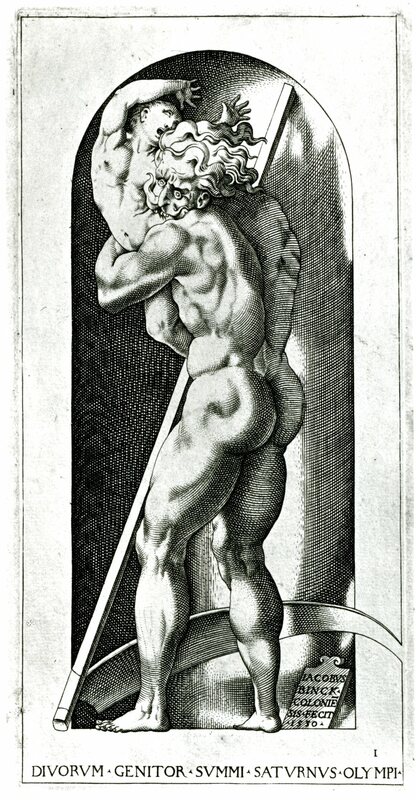 Engraved copies after Jacob Bink’s copies (E.6) of Caraglio’s prints, with white borders, in the same direction, and the same size (Fig.E.116, 1, Vienna). E.117, 1 – 20. Gods in Niches. 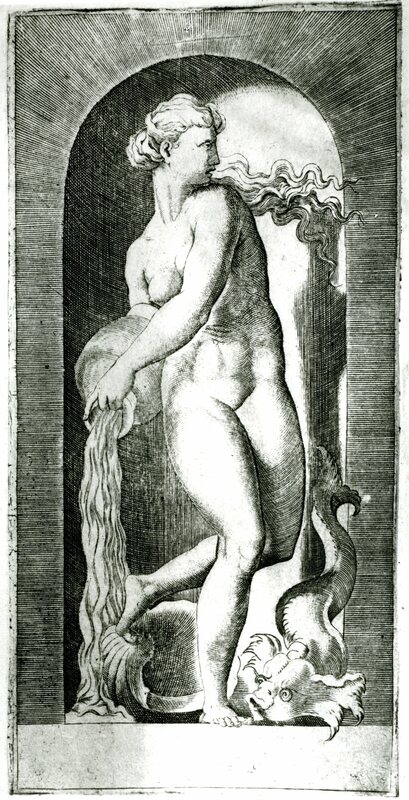 Engraved copies after Jacob Bink’s copies (E.6) of Caraglio’s prints, with white borders, reversed, smaller, and without inscriptions. E.118, 1 – 17. Gods in Niches. 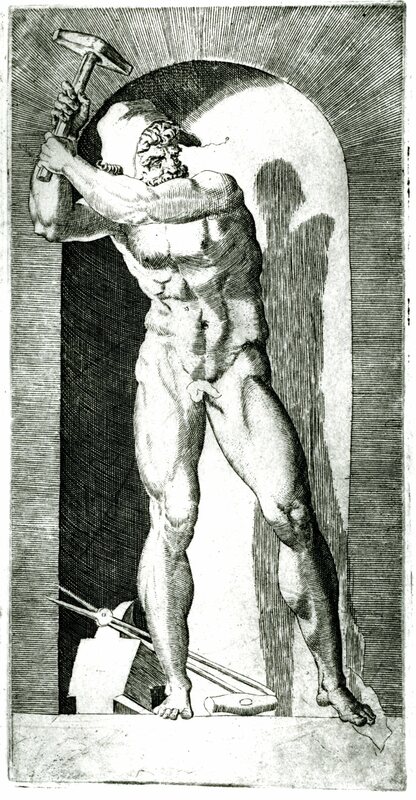 Seventeen engravings (of a set of twenty?) after Caraglio’s prints(? 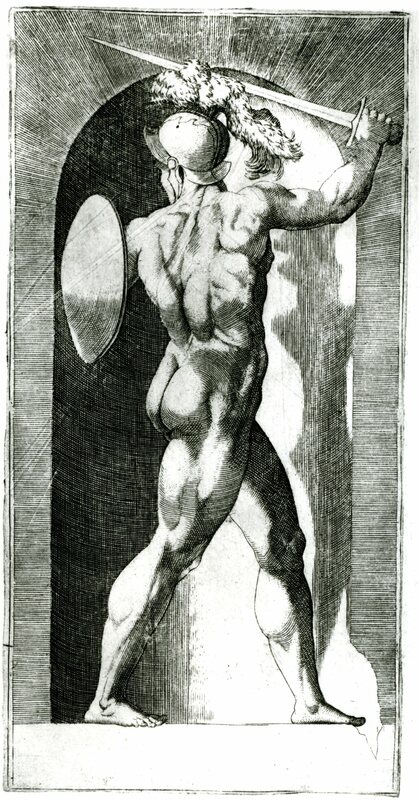 ), with white borders, reversed, and the same size. E.119, 1 – 4. Gods in Niches. 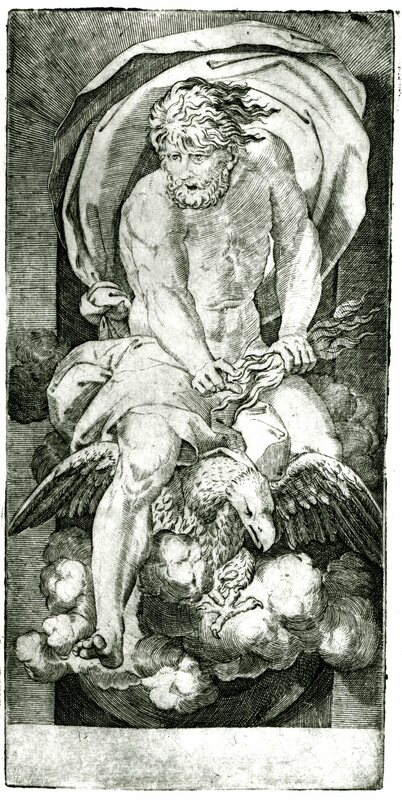 Engraved copies of Opis, Juno, Ariadne, and Vulcan, with white borders, in the original direction, and the same size, the Opis engraved less smoothly than the other three; not necessarily of a single set. E.120. 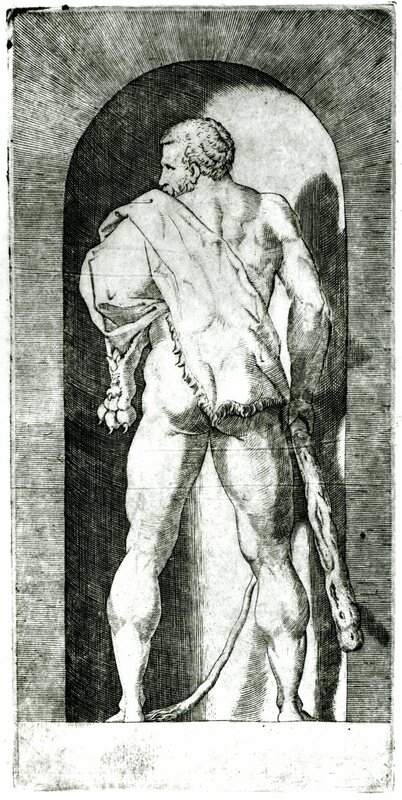 Vulcan in a Niche. 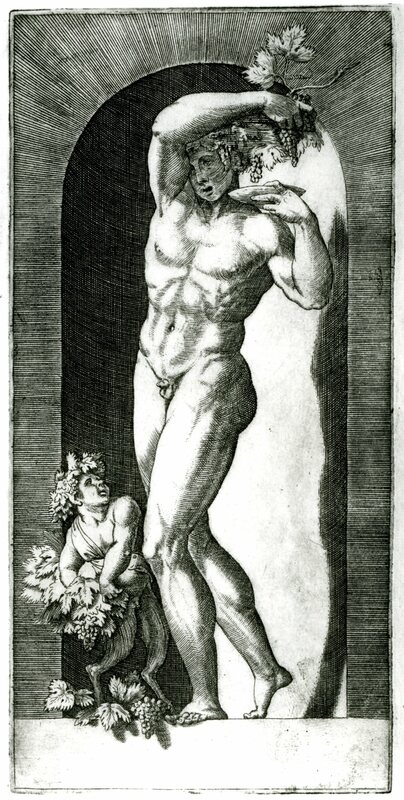 Small engraved copy probably after Caraglio’s print (E.44). E.121. 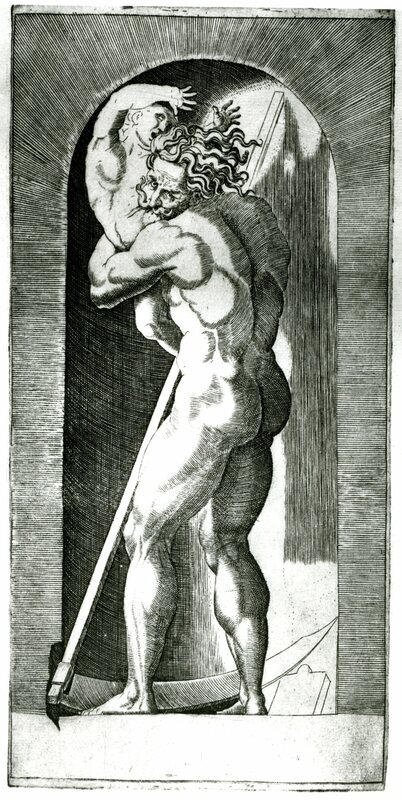 Jupiter in a Niche. 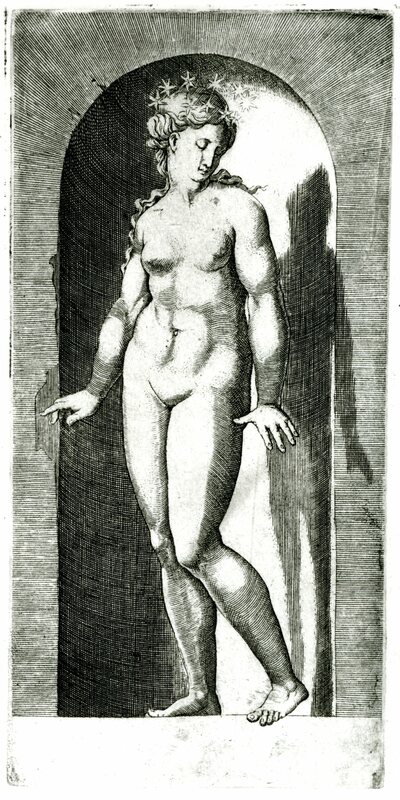 Etched copy of Caraglio’s print (E.28), in the original direction and size. E.122, 1 – 13. Gods in Niches. 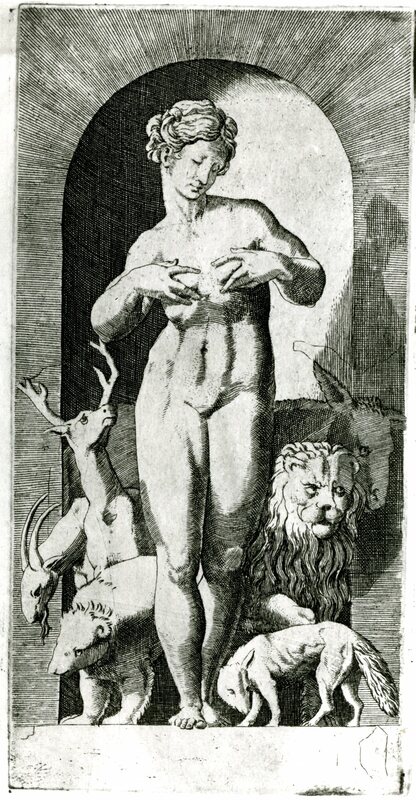 Incomplete set of engraved variants of Caraglio’s prints, which have been attributed to Marcantonio.